Oh so many of you keep asking if we have local honey in . As you might not realize, there is an overall honey shortage across the board from last season so our honey supply is trickling in as the beekeepers see fit. 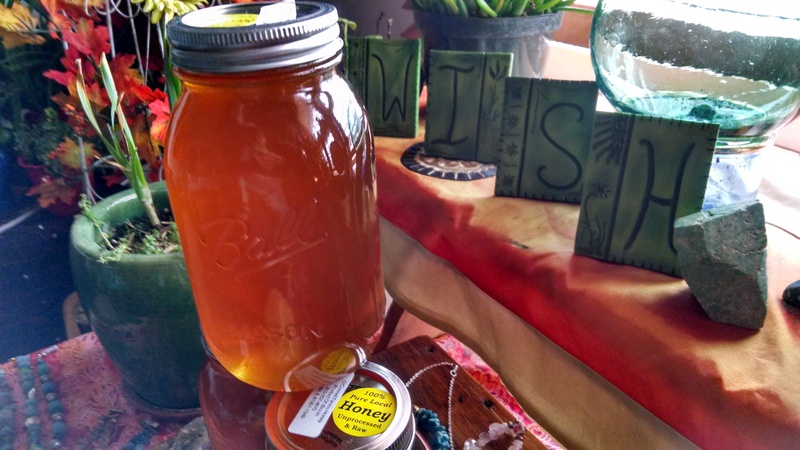 We did score a few quart jars this past week and we’ve decided to auction the honey off! We will use the money toward our inaugural small farm effort to purchase seeds, lights, heat mats, domes, a seeder, and of course, SEEDS!! So be brave, bid often and create some abundance with us! We will gladly place anonymous bids as admin if you let us know via phone or email how much you’d like us to post as your ‘anonymous bid’. To place a bid, simply put a comment on this page for the price you are willing to pay for the jar of honey. Auction goes to the highest bidder the last Friday of the month in March, April and in May.